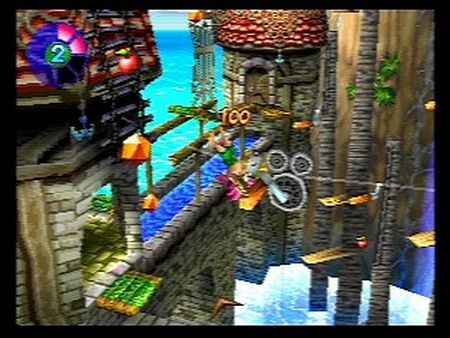 Tomba 2! marks the return of our pink-haired punk caveboy. Tomba’s Tabby has been pig-napped by those darn diabolical swine. 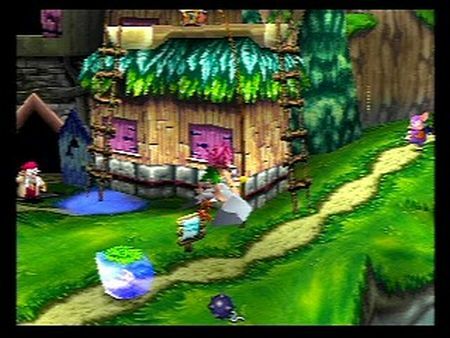 Now Tomba must solve mysteries as he works his way into the pig’s liar. Our hero is awarded adventure points for getting through quests. He can use these points to unlock boxes. He’s also rewarded with different suits that allow for various events to occur. All this will help in Tomba’s mission of rescuing Tabby. Tomba! 2 brings charm and thrill while capturing the classic gameplay of the original. But Tomba! 2 also varies in so many ways that it makes for a truly unique sequel. The full polygon 3D-look makes the graphics jump out and the depth perspective creates an expansive playing field. Full voice gives resonance to the story. ©1999 WHOOPEE CAMP Co. Ltd.